Osler’s top-tier Private Equity and Pension Fund Investments Group comprises leading legal professionals who have the extensive expertise, experience, industry relationships and knowledge to advise private equity and pension fund clients on a wide range of matters. Our highly acclaimed group uses a team-based, hands-on approach to provide private equity sponsors, pension plans and other tax-exempt entities with seamless expertise to advise on investment transactions across a number of asset classes, industry verticals and geographies. Clients rely on our diverse set of experts, who use a cutting-edge and collaborative approach to provide specialized legal advice in such areas as fund formation, fund investment, M&A, tax, pensions, corporate finance, governance, real estate, franchise, employment and competition. Our fully integrated team assists many international and domestic private equity firms as well as Canadian pension funds in structuring investments in a manner that achieves financial objectives. For our pension funds this includes expertise to maintain its tax-exempt status and ensure regulatory compliance. Clients also value our team’s ability to scope work accurately, manage risks effectively and deliver cost-effective results. Significant experience in fund formation and fund investment matters to guide clients through the investment cycle. Deep understanding of how to create structures that comply with Canada’s tax and other regulatory requirements, including pension legislation. Leading M&A practice, having acted for principal parties on the largest and most innovative domestic and international transactions, of which private equity and pension funds are dominant players. Deep cross-border and U.S. legal service capabilities, along with extensive experience in planning and structuring investments to and from Canada. Established relationships with the most prominent players in Canada and the United States including leading private equity sponsors, pension funds, venture capital funds, major corporations, institutions and growing private companies. Trusted relationships with U.S. and other international law firms to support the Canadian components of global transactions. We understand the nuances of the most sophisticated deals and support our clients through each stage of the investment cycle. We also have the legal expertise to advise on all elements of investment from fund formation, co-investment, structuring, M&A to distressed investing and acquisitions through restructuring, carve-out transactions, cross-border support for global transactions, IPO exits, PIPE (Private Investments in Public Companies) and leveraged buyouts. Our position as a trusted advisor in private equity and pension fund investing has been earned through our ability to support the most complex transactions and key legal components of an investment strategy. Osler works closely with our private equity clients to provide advice when formulating a strategy and structuring and executing an investment-related transactions of all types of funds from fund of fund to distressed credit. 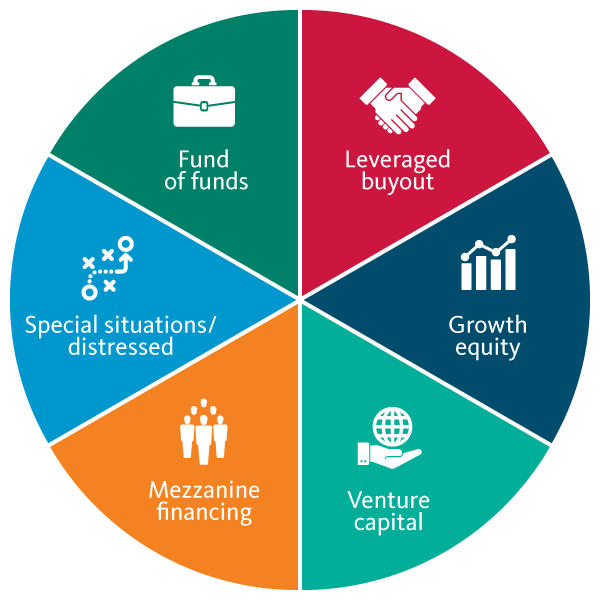 Our transactional experience includes all fund strategies in all geographies. Our industry expertise in key Canadian sectors supports our clients’ investment theses with deep knowledge and past transactional experience in related industries. The Riverside Company in its acquisition of Kii Naturals Inc. Chambers Canada: Canada’s Leading Lawyers for Business, 2016-2019: Band 1, Investment Funds. Chambers Canada: Canada’s Leading Lawyers for Business, 2016-2019: Band 1, Private Equity: Fund Formation. Chambers Canada: Canada’s Leading Lawyers for Business, 2017-2019: Private Equity Buyouts & Venture Capital Investment. "Their knowledge of how private equity deals are put together stands out. They are very client-focused, efficient and knowledgeable." Chambers Canada: Canada’s Leading Lawyers for Business, 2016-2019: Band 1, Tax. "The quality of service is excellent. The team has a very good relationship with clients and is very prompt." "They've been exceptional and take a pragmatic view of issues." Chambers Canada: Canada’s Leading Lawyers for Business, 2016-2019: Band 1, Corporate/Commercial: The Elite- Ontario. Chambers Canada: Canada’s Leading Lawyers for Business, 2016-2019: Corporate/Commercial: The Elite- Alberta. Chambers Canada: Canada’s Leading Lawyers for Business, 2016-2019: Corporate/Commercial: The Elite- Québec. Chambers Canada Awards: 2015: Tax Team of the Year. IFLR1000: The Guide to the World’s Leading Financial Law Firms, 2018: Private Equity. Who's Who Legal Canada, 2018: Private Funds Law. International Tax Review, 2018: Tier 1, recognized as one of the Best Transactional Firms in Canada.